THE FUTURE of gong culture is being written now. How are we Influencing It? How can we shape it. For the first time ever, Gong artists and their community who support this multi faceted instrument, from Meditation to Yoga, Ambient Music to Gong Baths and Personal Change; can gather together. This assembly will include master classes with national and international Gong savants, who are shaping Gong culture today. 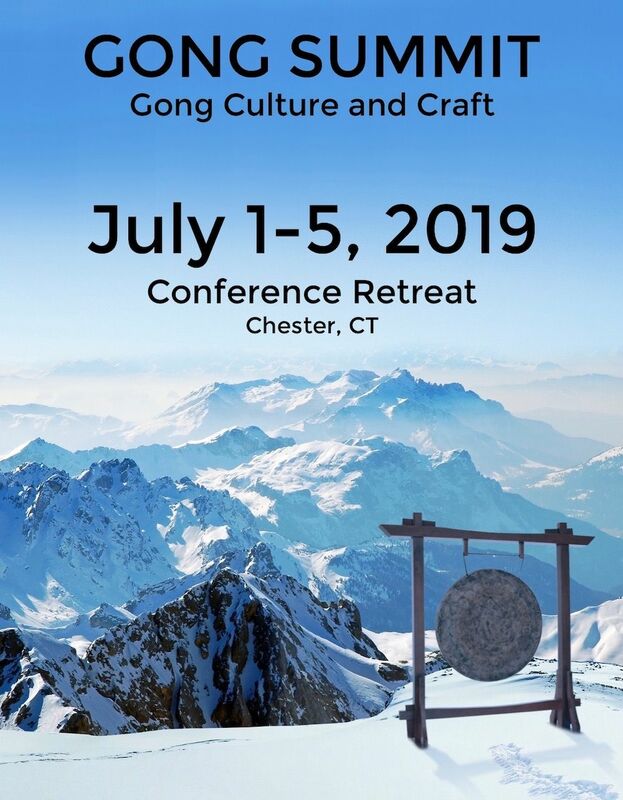 What’s unique about this conclave, is the addition of panel discussions to openly discuss issues and topics of interest that impact the Gong community. We are at a unique time in Gong history. The Gong from all historical accounts, is more popular now than ever before. This heightened awareness demands that the global community has a chance to come together, at this precise time in history. By all accounts, this recent popularity offers the opportunity to formulate and account for what we know, and to steer the conversation for decades to come. This event is not a ‘showcase’ type program, many coming, will be Gong enthusiasts themselves, so why watch ‘gong bands’ ? The majority of our featured presenters have been playing for 3-4 decades or more. What makes them tick? Where are they in the Gong space? Learn insights that can propel your learning curve, and pick up tips and advice that can immediately impact your playing style. Internal ’themes’ outside the master classes and discussion panels include: the role Women are playing in this craft. There will be historical geographical evidence, and segments devoted to the community of women who use Gongs. Our community is large and diverse, unlike other musical instruments, the Gong transcends many boundaries, and offers a praxis which includes everything from the spiritual to the mundane. How many instruments can say this?